sure you feel more than comfortable with your purchase. we walk hand in hand with you, selecting quality materials, helping with material delivery, supervising the installation process, and making sure you are satisfied with your completed roof placement. Read below about the material options that will help make your roof reliable. Unfortunately, in our industry there are times that corners are cut in order to speed up the job and trim cost. Deck inspection and felt removal are sometimes sacrificed in cutting of corners. When felt is not removed from an existing roof, problems with the existing decking and hidden leaks are missed. Decking boards are often stressed and can become loose — nails may be pulled up slightly in many places. Our crews ensure that all loose decking boards are nailed down properly, all old nails are refastened, and all water-damaged and warped decking is replaced to ensure the decking is sufficient to hold nails. While most roofing companies charge for deck repair, we will replace at no charge up to (3) sheets of decking. Superior quality roof deck underlayment can protect and beautify at the same time. Quality roof deck protection prevents wind-driven rain (or water from other sources) from infiltrating under your shingles and causing damage to your roof or the inside of your home. 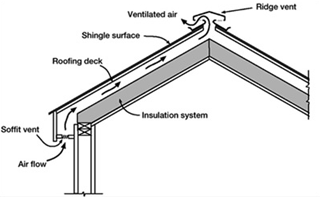 It also provides an extra layer of protection between your shingles and your roof deck. RoofHawk uses GAF Deck Armor and Tiger Paw because it lies flatter and will not buckle when installed. This results in reduced blow-offs by allowing your shingles to lay flatter and more uniformly. Using GAF Pro-Start starter strip helps lock your shingles in place to help prevent wind-blown rain and potential leaks. With no cutting of the starter strip there will be a visibly straighter roof edge. Using GAF Pro-Start in conjunction with proper shingle installation also allows for an increase in wind rating. We use GAF Weather Watch at all roof perforations. 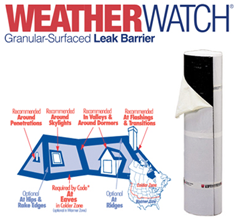 Weather Watch is a mineral-surfaced leak barrier that keeps your home protected from unwanted leaks, even in the most extreme weather. RoofHawk uses GAF Weather Watch in all roof valleys and at all roof perforations on every roof, everytime. The added cost (minimal) far outweighs the expense of damage that can result from not using it. We exclusively install shingles from GAF’s shingle portfolio. GAF offers a multitude of options to fulfill your style and roofing needs. 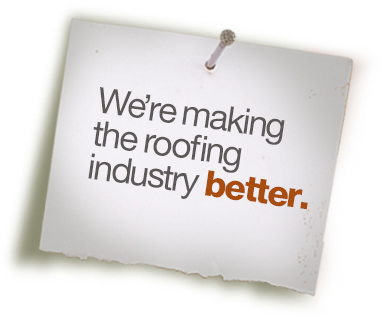 GAF is the largest manufacturer of residential roofing material in North America. Professional installers have long preferred the rugged, dependable performance that only a GAF roof can offer, and have made Timberline® Shingles with Advanced Protection® the No. 1 selling shingle brand in North America! Nailing errors, such as under-driven or angled nails, can cause future problems with your shingles — everything from premature failure and blistering to blow-offs. RoofHawk uses 50% more nails than the industry standard to properly secure shingles and to increase wind ratings by 30% (from 90mph to 130mph). We adhere to the FHA (Federal Housing Administration) recommendation of a minimum of at least 1 square foot of attic ventilation (both intake and exhaust) for every 300 square feet of attic space. This is necessary to prolong the life of your roof and for adherence to GAF specifications in order to offer an upgraded 50-year warranty. (See store for details). We use GAF TimberTex Ridge Cap Shingles to complete the overall roofing system. Enchanced ridge shingles accentuate the beauty of your new roof and provide multi-layer protection at the highest-stress levels of your roof (hips and ridges).